To prevent these log files from growing too large, you should enable automatic cleanup and recycling of log files. 1. Log in to the Plesk Control Panel. 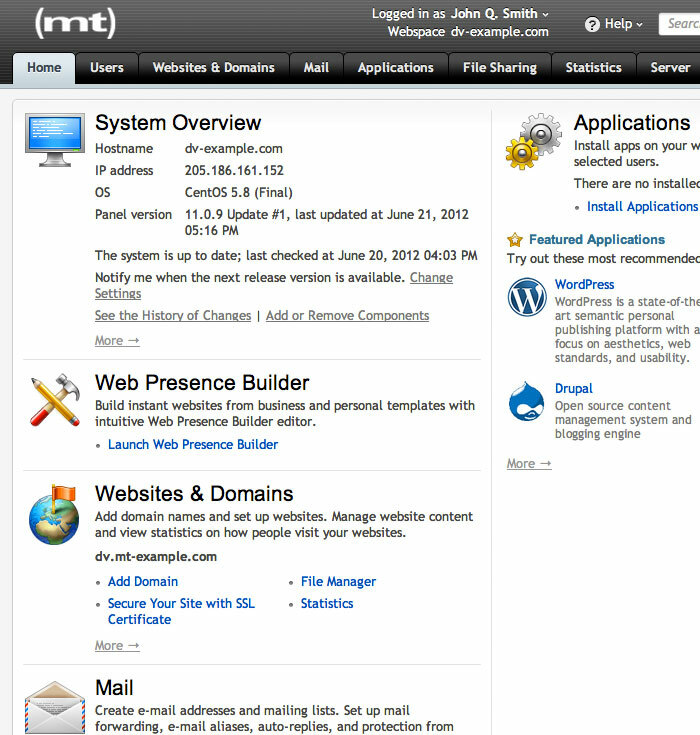 You should be in the Websites & Domains section. 2. Find the domain that you'd like to work with and click SHOW MORE. 3. Select Logs from the drop-down menu. 4. You should now see a list of log entries. 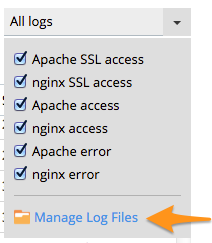 Click the drop-down menu in the top right corner and select Manage Log Files. 6. 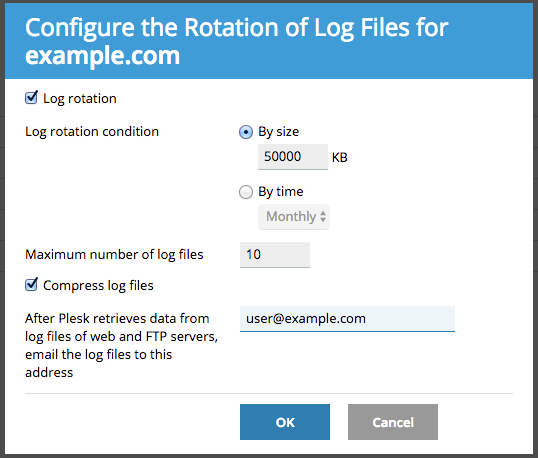 A Plesk pop-up window will give you a few different options for managing log rotation. 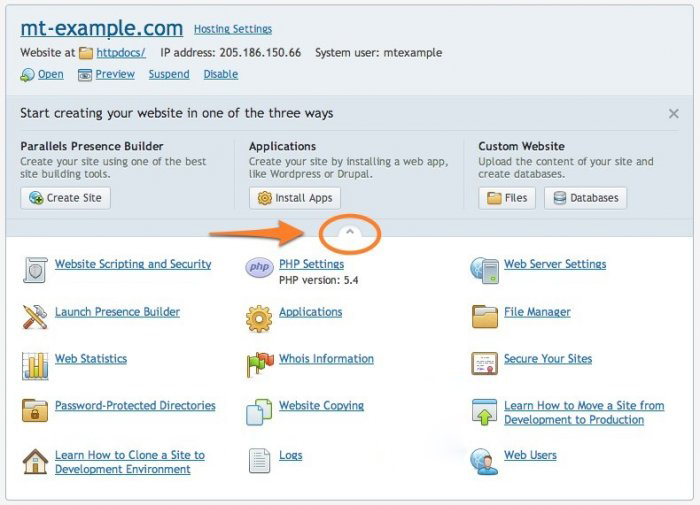 If you have a high traffic site, it may be more efficient to use the default By size setting rather than By time, as logs may otherwise become very large. 7. Once you've configured your setup and clicked OK, you should receive a green confirmation banner. 1. 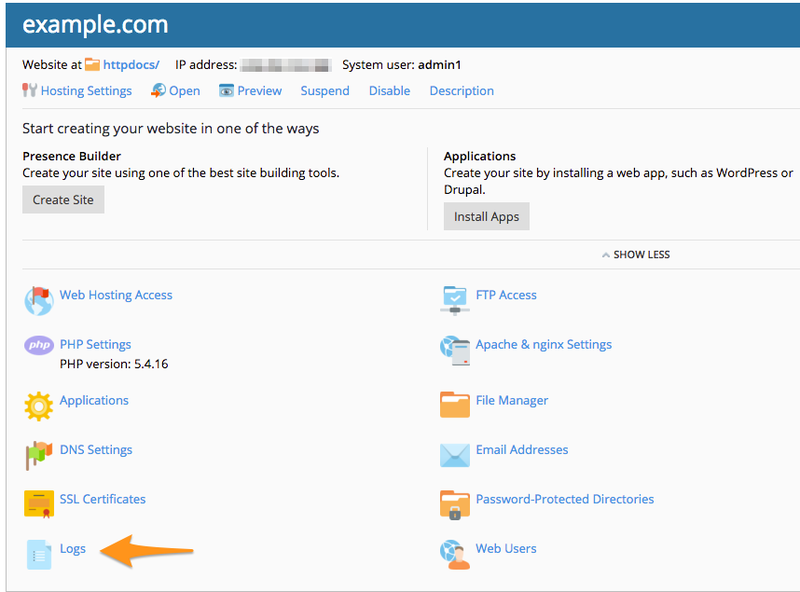 Log in to WHM and select cPanel Log Rotation from the options under Service Configuration, which is located in the scroll bar on the left. You can also navigate to the proper section by typing "log rotation" into the search box at the top. 2. 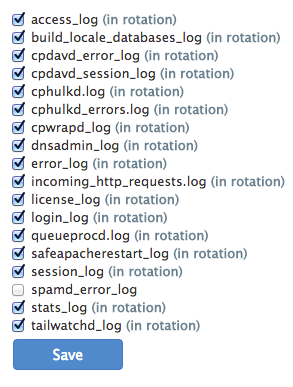 You should now have a list of log files that are currently being rotated. Modify which logs are being rotated and click save. 3. You can modify the size of rotated files by navigating to Tweak Settings and clicking on the Stats and Logs tab. 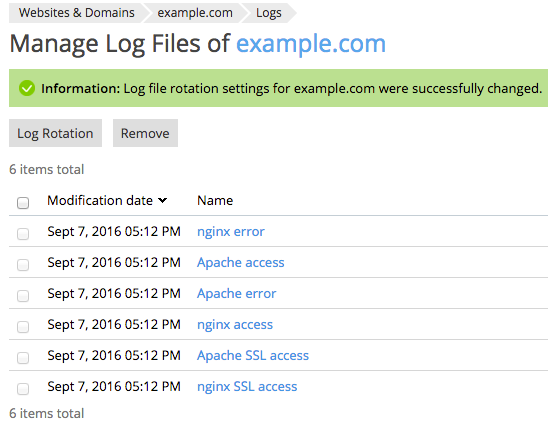 There is also a direct link on the log rotation configuration page. 4. Change the value of Log rotation size threshold to whatever you require and click Save. 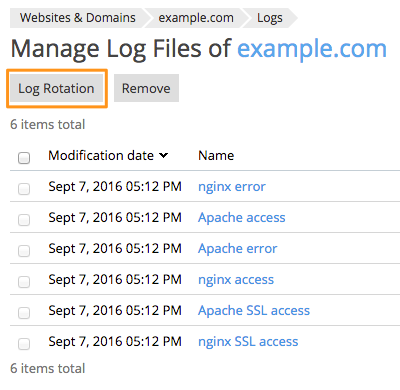 Expand the options menu for the domain you want to configure your log rotation for. 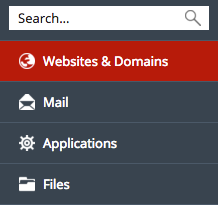 Click on the Log Rotation icon. You may now turn on log rotation and make any edits to your settings, then click "OK" to save your changes.